The Madrassa runs classes Monday - Friday 5.00pm - 7.00pm. Besides learning to recite and memorise the Quran, children are also taught Tajweed and other Islamic studies. 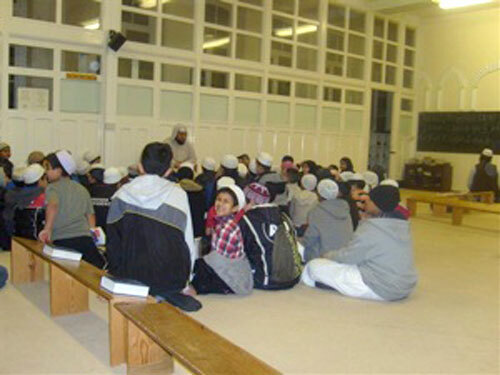 Please ensure your children arrive promptly for each session and that they are collected from the Masjid on time. The Masjid and its staff cannot take responsibility for the welfare of children outside of the Madrassa times!